1Department of Pharmaceutics and Nanotechnology, School of Pharmacy, Shahid Beheshti University of Medical Sciences, Tehran, Iran. 2Department of Railway Engineering Rolling Stock, Iran University of Science and Technology, Tehran, Iran. 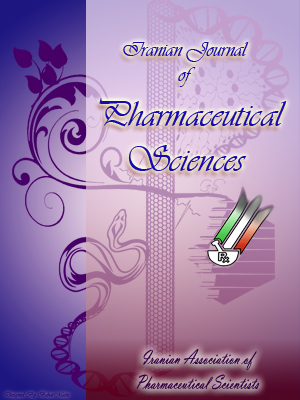 3Department of Pharmaceutics and Nanotechnology, School of Pharmacy, Shahid Beheshti University of Medical Sciences, Tehran, Iran; Protein Technology Research Center, Shahid Beheshti University of Medical Sciences, Tehran, Iran. Liposomes are widely used as drug delivery systems in different forms including osmotic pumps, infusion and IV injection. In spite of these, there is no data available about their behavior under convective flow (e.g. infusion or osmotic pumps) and upon stagnation in such drug delivery systems. As a part of a series of investigations in this area, the present study investigates the effects of viscosity and flexibility on liposomes separation upon stagnation. Here, liposomes with different bilayer flexibility and medium viscosity were encountered gravity (separating force) in a designed sedimentation model and changes in their properties were monitored over time. Rigid liposomes in the low viscosity formulation showed significant phase separation (three times reduction in size) and decreased lipid content over time. Increasing the bilayer flexibility of large liposomes, prevented them from phase separation. Neither size reduction nor decreased lipid content was observed. Increasing viscosity of the liposomal formulation from 3.4 cP to 45.2 cP also prevented sedimentation of liposomes and phase separation in the system. These results indicate that bilayer flexibility and viscosity affect separation of large liposomes in pre-administrational steps and even stagnation during administration in systems such as infusion pumps.